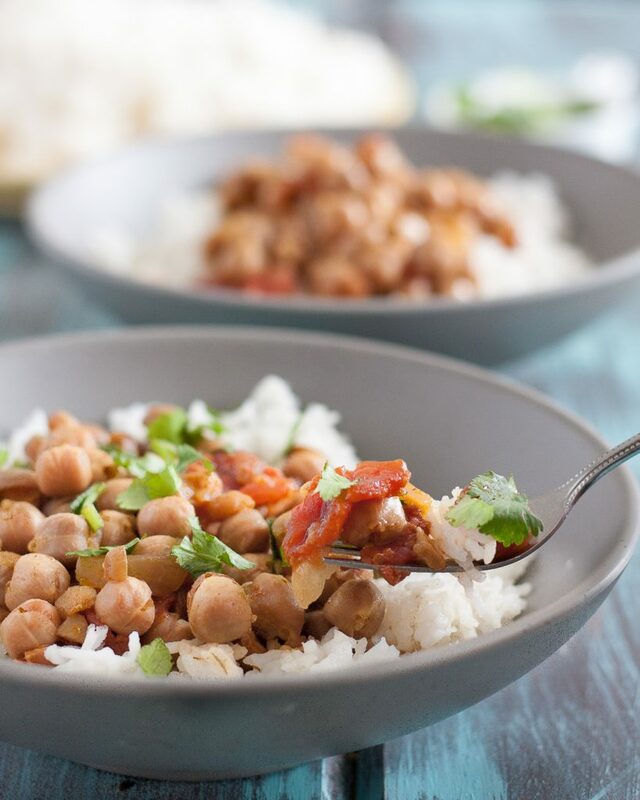 This easy slow cooker chickpea curry is a perfect, economical vegetarian dinner recipe! I am a lazy cook when it comes to feeding myself. Times when the Godfather travels for work, I eat a lot of eggs, oatmeal, salad, and slow cooker dishes. 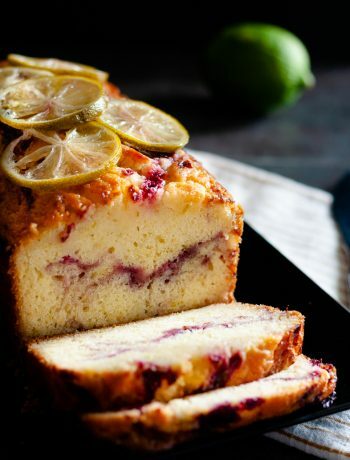 Things that are easy to prepare, and use a minimal number of dishes. 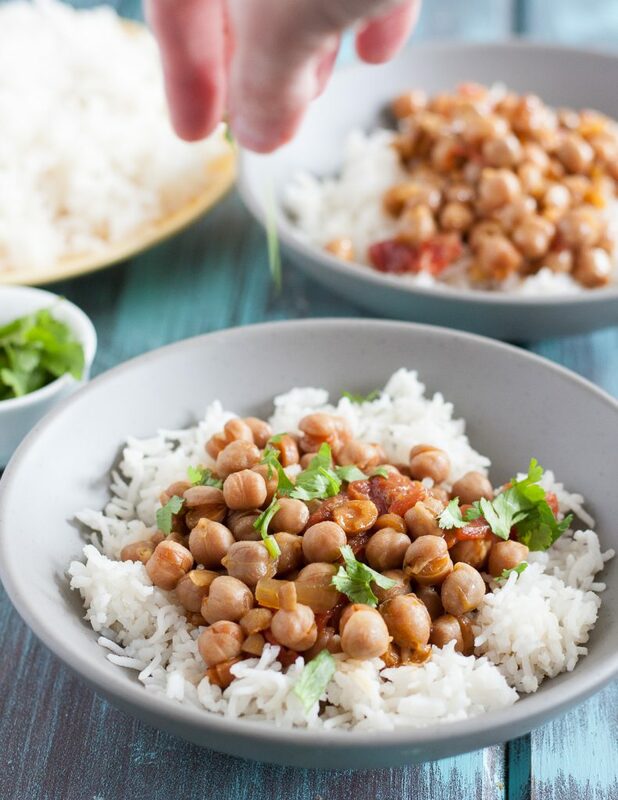 Before little ones, I would often make a large slow cooker dish, like this slow cooker chickpea curry, at the beginning of his trip and eat that the rest of the trip. Now that I have people to cook for even when he’s gone, I don’t do this quite as often, but still make a few favorites for the family from time to time. Chickpeas are a staple in our house because they’re delicious and I grew up eating them. My mother would add them to rice, marmahon, soup, and of course, make loads of hummus before hummus was mainstream. 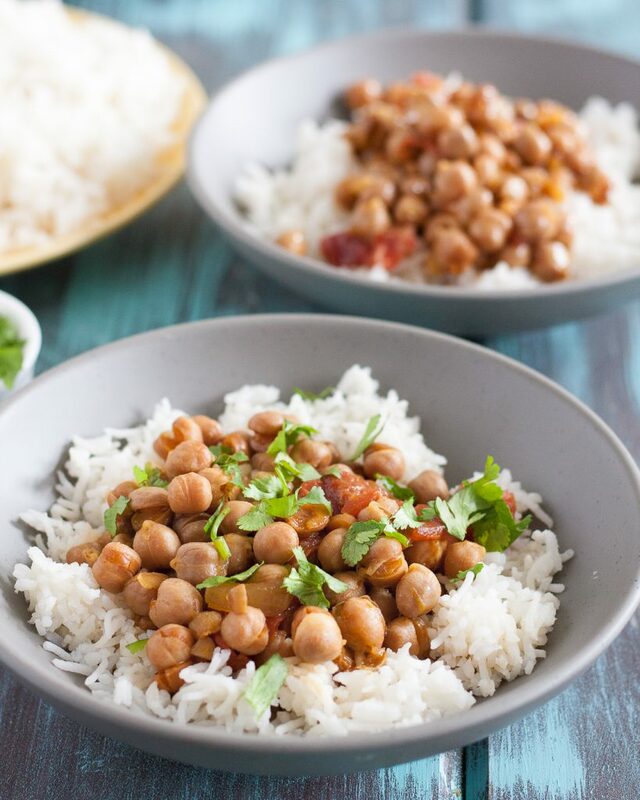 😉 This particular recipe uses dried chickpeas, which are very very economical, and curry paste. You can find curry paste in the international section of most grocery stores in either hot or mild, and it’s a great shortcut when making quick Indian dishes. If you remember to soak the chickpeas overnight, go for it. It will reduce the cooking time the next day, but I’ve done it without pre-soaking and it’s still turned out. Since I recently acquired an Instant Pot, I’ve been using that to make some slow cooker recipes as well. I never soak the beans then. 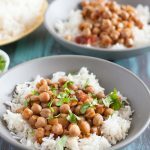 Check the “Notes” section on the recipe for details and the teensy modification you need to make for an Instant Pot chickpea curry. Serve the curry with basmati rice, bread (roti or naan are great), cauliflower rice, quinoa… whatever makes you happy. Garnish with a little fresh cilantro and a bit of sour cream if desired to temper the spice level, and enjoy! 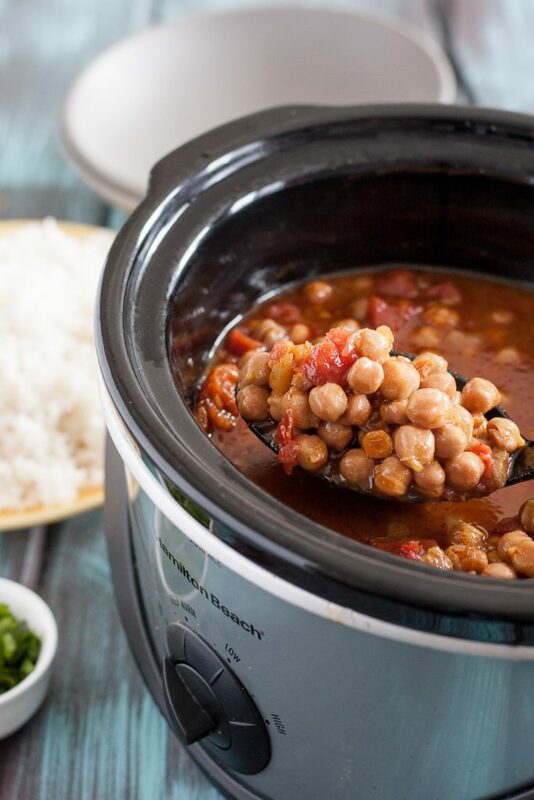 This easy slow cooker chickpea curry is a perfect, economical vegetarian dinner recipe! 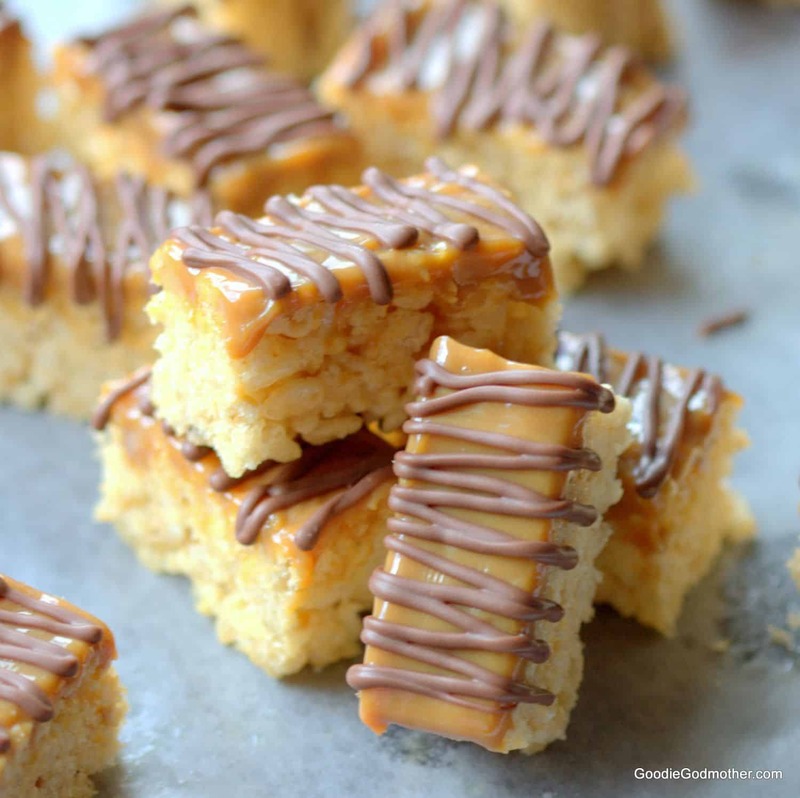 Recipe includes notes for making this in the Instant Pot too. Heat the oil in a skillet over medium heat, then add the ginger, onion, and garlic and cook, stirring occasionally, until the onion just becomes translucent. Stir in the curry paste and 1 tsp garam masala, cook a minute longer and then place in the slow cooker. Add the chickpeas, tomatoes, and broth or water to the slow cooker, and set on high for 8-10 hours until the chickpeas are soft. Stir in the lemon juice, additional cumin or garam masala, and adjust salt to taste. Serve warm with your preferred accompaniment (rice, naan, quinoa, roti, etc), topped with fresh cilantro. Add sour cream if you need to temper the heat level. To make this in the Instant Pot, complete step 1 using the "Saute" setting. Add the rest of your ingredients, using only 5 cups of broth or water, and cook on the "Bean/Chili" setting. Allow the pressure to release naturally for 15 minutes and then you may release manually if needed.